of medicine to prevent diseases by altering diet and lifestyle. Till now, there was a day to celebrate all streams of traditional medicine except Naturopathy. 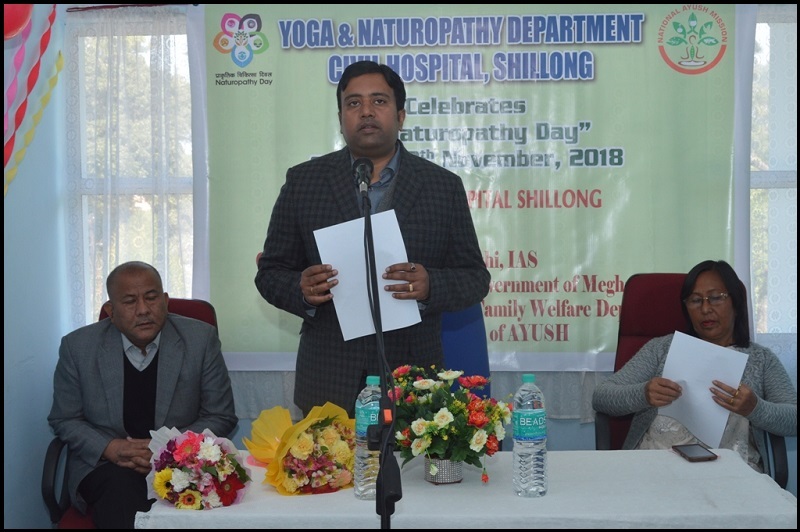 On this day, Central Council for Research in Yoga and Naturopathy is organising health camps, workshops and exhibitions in association with local naturopathy centres and hospitals. Naturopathy plays an important role as many diseases can be prevented with these practices especially non-communicable diseases which have seen increase, mainly owing to changes in lifestyle. It is a drug-less system and is very cost effective. It can be easily integrated with any other system of healthcare as lifestyle intervention. These practices are being promoted in wellness centres along with allopathic medicine so that we get best of all systems of medicine. India has a long history and culture running over 5000 years of using traditional medicines for health care and developing them with modern scientific outlook. AYUSH is an acronym of tradition medical systems that are being practiced in India such as Ayurveda, Yoga and Naturopathy, Unani, Siddha and Homoeopathy. International Day of Yoga has been celebrated annually on June 21 since 2015. Prime Minister Narendra Modi has first proposed the idea in his first United Nations General Assembly (UNGA) speech in 2014. Ayurveda Day, which is marked on November 5 every year, was first celebrated in 2016. In 2017, Unani Day was established which is celebrated on February 11. The declaration of January 4 as Siddha Day and November 18 as Naturopathy Day was made in January 2018, thus all six systems are having their separate annual celebration day. Q. What did the Union Ayurveda, Yoga and Naturopathy, Unani, Siddha, and Homeopathy (AYUSH) Ministry celebrated for the first time on November 18 with an aim of promoting drug-less system of medicine to prevent diseases by altering diet and lifestyle?